We’ve talked a lot about CCTV related products, cameras and accessories. But there is so much more to it. The quality and value to the money of such products as DVR’s, NVR’s, fixed lens analog cameras as well as varifocal AHD cameras are also enormous and very popular among our customers. There are various combinations of a fixed hard wired CCTV system which has long term recording capacity of 30, 60, 90 days. This depends on the size of the hard disk drive that we fit inside the DVR or NVR unit. In this case, all of the cameras get cabled back to a central location like an office or a secure room or for example an attic space in a domestic customer’s home. In this case, any thief cannot easily steal this black box DVR or NVR unit which has all the recorded footage from all cameras that can be set to record in a loop 24/7, 7 days a week for months at a time. For example, Outdoor Weatherproof CCTV Camera has a 1/3 Inch Color HDIS Sensor with 8mm varifocal lens for box-style HD CCTV cameras (AHD, HD-SDI, HD-TVI, and HD-CVI) and megapixel IP cameras that use CS lens mounts. This lens works with 720p and 1080p security cameras. 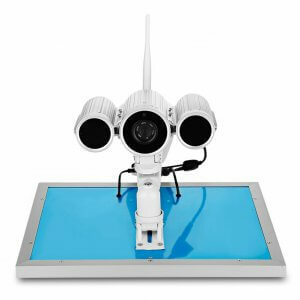 The varifocal range gives surveillance system installers the ability to adjust the field of view and a zoom level of the camera. The DS-2CE16D9T works with all our Hikvision DVRs have a night vision range of 120m IR Distance and 5-50mm motorized varifocal lens. So if you have a warehouse about 20 feet wide and 3 feet deep, the lens on the DS-2CE16D9T will be adjusted to the widest angle (2.8mm) which enables the camera to capture the entire area. But we want to talk about some other cool products that we have in stock as of this spring! This camera has a built-in WIFI802.11b/g/n wireless network card, supports AP point-to-point. Other features that we like are that it has an outdoor waterproof rating IP66, 6mm high-definition lens, star-level ultra-low illumination night vision function, night vision distance of 80 meters. It also supports 12 languages, Firefox, Safari, Google Chrome. 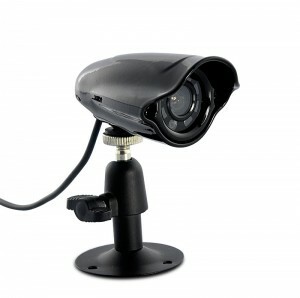 Outdoor Weatherproof CCTV Camera is ideal for keeping a watchful eye no matter the condition. It has three Array LEDs, 1/3 Inch Color CMOS, 1000TVL, IR Cut as well as a 60 Meter Night Vision. 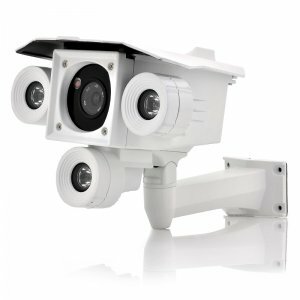 With three array LEDs, this outdoor CCTV security camera is made to be used whatever the conditions and whatever the time. Set it up outdoor your factory, in the office or around your home to make sure you have a full view of everything. This security camera is designed to last. Boasting a 1/3 inch color CMOS that captures high-quality images, this weatherproof camera has a 1000 TVL resolution. 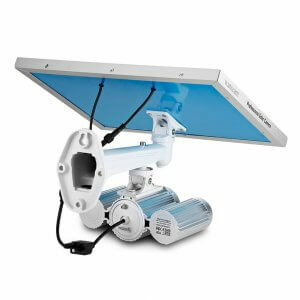 The three array LEDs also provide this camera with the ability to have up to 60 meters of night vision so you can see who is sneaking around when the sun goes down. No matter if it snows or rains, this security camera will capture everything as it happens. Discreetly watching over your property, Sony CCD Camera, aka the Dark Predator will always be there to protect you. If you are looking for a discreet and convenient solution to improve the security of your home or office, then look no further. The Dark Predator is so small that it can easily be installed in any corner or crevice in the room. But don’t be deceived by the size of this camera. The Dark Predator packs a ¼’’ CCD color sensor delivering a super high 600TV Lines resolution! With 7 built-in Infrared LEDs, you will be able to have eyes on your property 24/7. Even in complete darkness! You’ll also love the included mounting brackets with adjustable angles, making installation quick and painless. You don’t want to be buying a new camera every year and that’s why the dark predator comes in a durable weatherproof full metal shell to protect it from any damage. So whether you’re in a civil war zone or just feeling a little insecure at home or in the office, the Dark Predator is the ideal choice for protection that won’t let you down. This camera has a built-in WIFI802.11b/g/n wireless network card. It has an outdoor waterproof rating IP66, 6mm high-definition lens, star-level ultra-low illumination night vision function, night vision distance of 80 meters. Wanscam HW0029-6 1080P supports 12 languages, Firefox, Safari, and Google Chrome. It provides 1080P Full HD Recording, supports 3G/4G network monitoring without Wi-Fi & LAN Cable and can provide 24 Hours monitoring. So feel absolutely relaxed because it has 48h backup battery storage and a built-in 16GB SD Card support 3 days recording and APP P2P remote monitoring multi-devices online view.